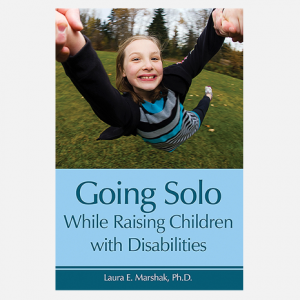 Many children age seven and under struggle with social skills and often find themselves perpetually on the sidelines, in time-out, or ignored by their peers in school and on the playground. It’s incredibly painful and worrisome for their parents to witness, but fortunately, they are not powerless to help their kids improve their social IQ. 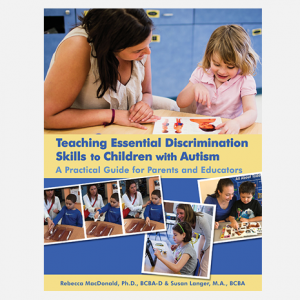 Written by a speech-language pathologist and researcher with expertise in socially at-risk kids, the book includes profiles of children who illustrate a wide variety of characteristics and behaviors that lead to social isolation, along with effective, well-designed activities that encourage joint attention, eye contact, and social interaction. 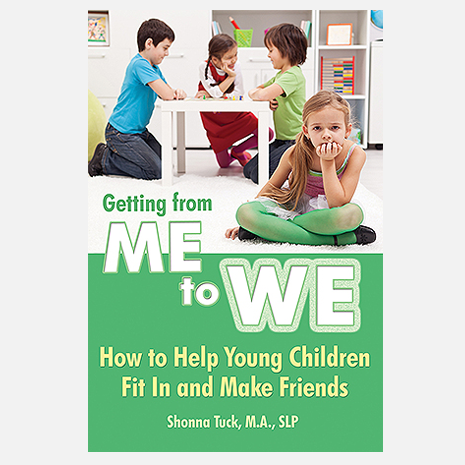 Getting from Me to We is useful for children who have social skill delays without a formal diagnosis, as well as children with autism, ADHD, anxiety, or language delays. Shonna Tuck is a speech-language pathologist with special expertise in early identification and intervention for children who are at social risk. 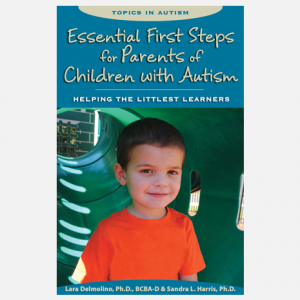 Her book is based on 20 years of research, advocacy, and a passion for helping children and their families.